You want to get started playing Quake? Buy Quake on Steam - This is the game itself. Install but do not run. Download the Quake Retexturing Project - This will make your levels and items a LOT smoother and better looking. Don't forget to go to the options menu and set everything the way you like it! Darplaces is VERY customizable and can run on a wide range of computers. Where can I find a server to play on? 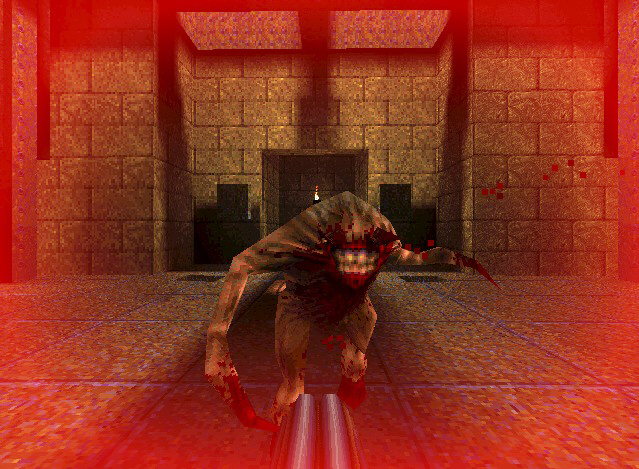 Ages before Call of Duty, Team Fortress 2, Counter Strike, Half-Life, and even Quake 2, we had the original: Quake One. The first turely 3D first person shooter and a game that stole countless hours of my childhood. 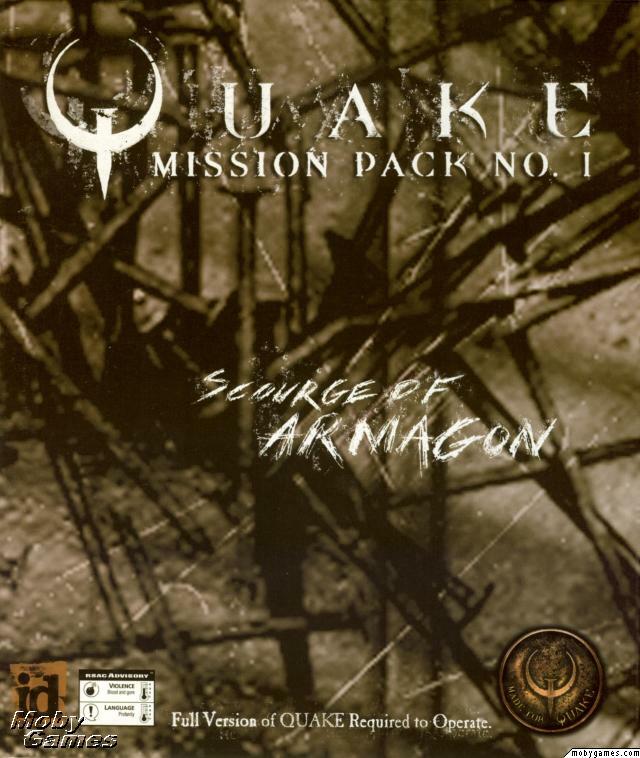 The game had four expansions to it's single-player (2 official, one commercially developed yet unreleased, and one unofficial) however the single-player is not what made Quake popular, it was the online deathmatch and co-op modes. Rarely known fact: Team Fortress 1 was originally a mod for Quake. It would later be remade on the GoldSRC engine as a mod for Half-Life called Team Fortress Classic; before long TFC became it's own standalone game. From there we all know about Team Fortress 2. 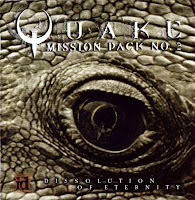 The game was designed for LAN play and did not perform well online, however the developers came up with an alternate program for it called Quakeworld which introduced the Client Side Prediction that all First Person shooters -- or online games in general use today. Soon after mods started appearing, and the Capture The Flag mode that most first Person Shooters have today came from Threewave CTF. 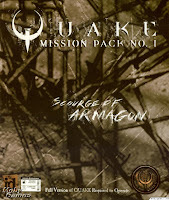 For the duration of Quake One's popularity the two most popular mods were Thunderwalker CTF (an expansion to Threewave CTF) and Mega TF (an expansion to Team Fortress). In time Hypnotic Interactive and Rouge Entertainment would both go on to make Scourge of Armagon and Desolution of Eternity, two official Single-Player expansion packs. Later, a third expansion known as Abyss of Pandemonium would be developed commercially and as far as most people were concerned it never existed. They wanted to release it for free but it was under contract, so they repackaged the mod's features and released it as a Deathmatch only pack. In my very biased opinion, The Nehahra Quake Project is far suprior to all the other expansions, but the other three still have great value. Each expansion has it's own new weapons or ammo types and powerups that go with them. It took many years but eventually Abyss of Pandemonium was finally released in full for free as well, however the first two expansions are still being sold digitally to this day. Finally, a full three years after Quake 2 came out, an unofficial expansion and re-imagined story for quake was developed named The Nehahra Quake Project, unlike the previous three this was released free of charge and featured several graphical upgrades and things not available in the standard quake engine. In terms of mutliplayer All of them support cooperative play (Co-Op), and all except Nehahra support Deathmatch. Finally and Desolution of Eternity was designed with Capture the Flag in mind as well. While Quake One stands on it's own as an incredible game (for its time), the true value of the game is the mods the community made for it. 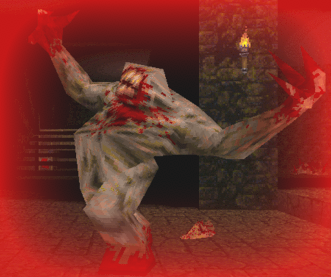 Although the craze to mod games began with Doom, it certainly didn't peak there. Quake had a vast selection of mods, many can still be played today. Above I described a few but those short descriptions do not do them justice, below you will find links to pages where I not only list a few of the best but explain where you can get them. 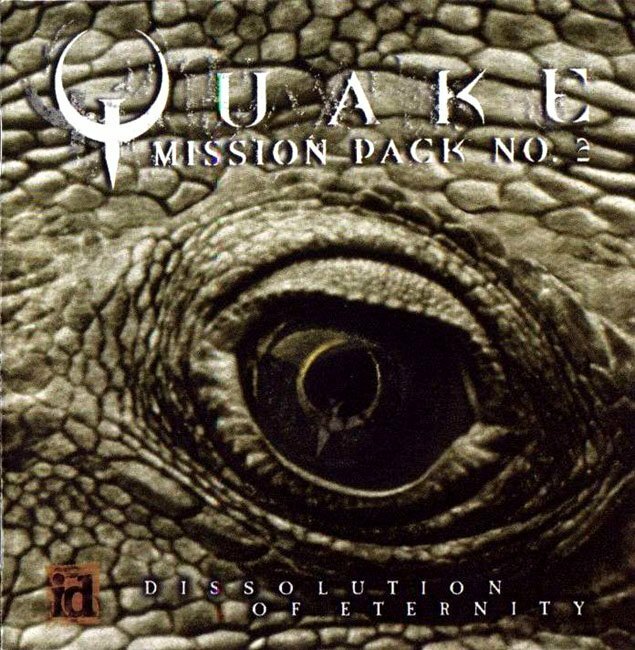 If competitive play is what you are looking for, a database of streams, tournaments, and other such fun can be found at the QuakeHistory.com archives. I personally recommend paying a visit to Shmack.net and it's three Quake One servers. They are hosted in Missouri toward the eastern-middle of the continental United States, meaning unlike most of the foreign servers, players from the US get a decent ping there. Another reason I recommend it is that it has a semi-active player-base whom often talks on QuakeOne.com, that is something you can't say of the other servers. The first server, quake.shmack.net is a Rune Quake deathmatch server, and it tends to be the most popular of the three. The second quake.shmack.net:26001 is a Rocket Arena server, where players fight eachother in one on one matches in arenas with weapons and armor provided. The third quake.shmack.net:26002 is running a special Practice Mode mod developed by Shmack. There are many other servers listed, but for now I recommend these three above all others; this page is subject to change.